From crafted public bourbon tours to fully-customized experiences, Mint Julep Experiences is Kentucky’s premier tour company for the Kentucky Bourbon Trail®, legendary horse farms, historic landmarks and the Commonwealth’s rich culinary scene. Named one of Condé Nast Traveler’s “Best Guided Drinking Tours in America,” the one-of-a-kind, family-owned destination management company offers transportation and event planning services for hassle-free ventures for any size group including corporate outings and V.I.P. excursions. 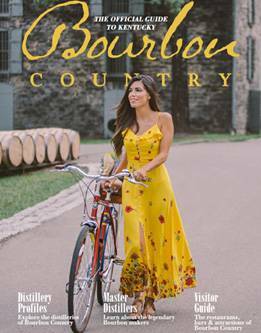 Mint Julep Experiences team of bourbon experts, veteran tour guides and city concierges do it all to help you explore the living history of Kentucky in comfort and style. Your tour will be inspired by their commitment to sharing Kentucky traditions and enriched by knowledgeable drivers, enthusiastic guides, and clean and comfortable vehicles. Mint Julep Experiences is an official sponsor of the Kentucky Bourbon Trail®. Full-day public Bourbon Country tours are available Thursday through Saturday with easy booking online on the Mint Julep Tours website.